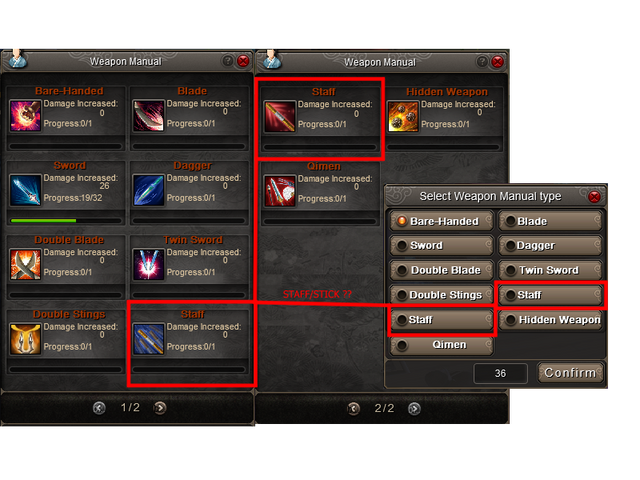 Since four familly update, in the manual selection box and character attribute panel, quarterstaff and long-staff are both translated "staff". Could we have a proper translation for dissociate them and avoid waste manual? Dear player. Thank you for your contact. Please try to provide some related screenshots about this issue and send them to our mail support@snailgamesusa.com for further investigation. Dear player. As to the issue, we have forwarded to technical department and try to fix it in following updates. Sorry for the inconvenience.